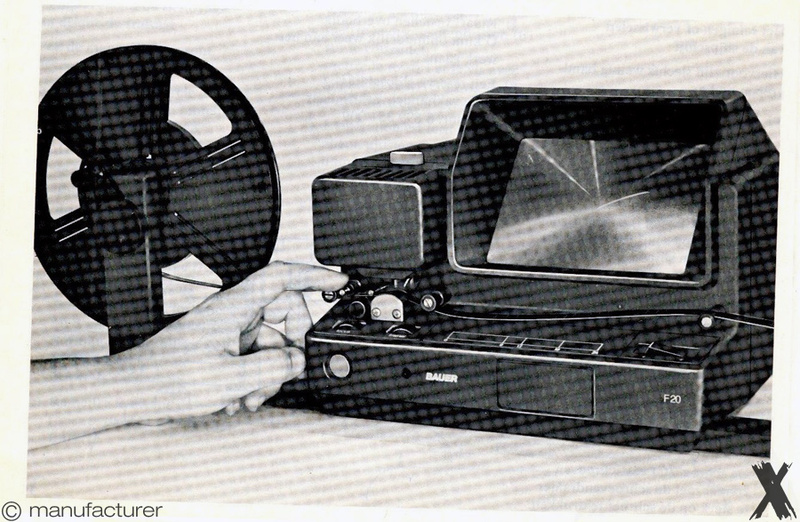 See your movies in a new light - see them on a Bauer viewer & editor. 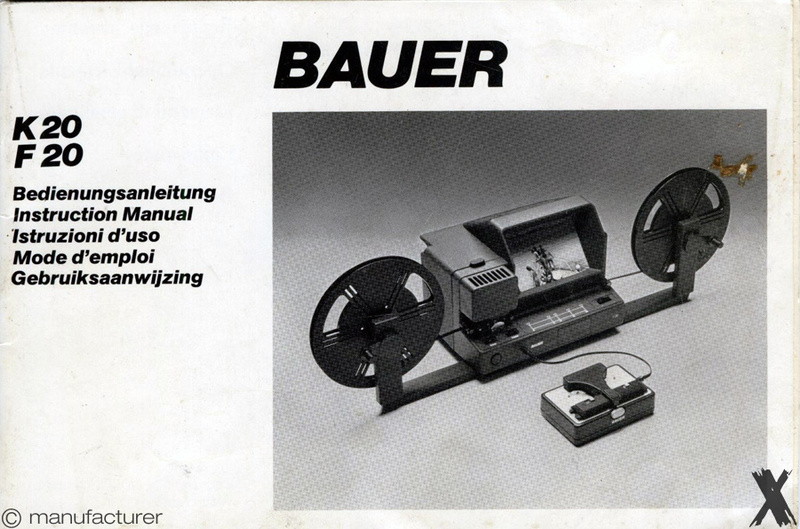 Whether you are just venturing into Super 8 or whether you're well and truly bitten by the bug, you're better with BAUER POWER. 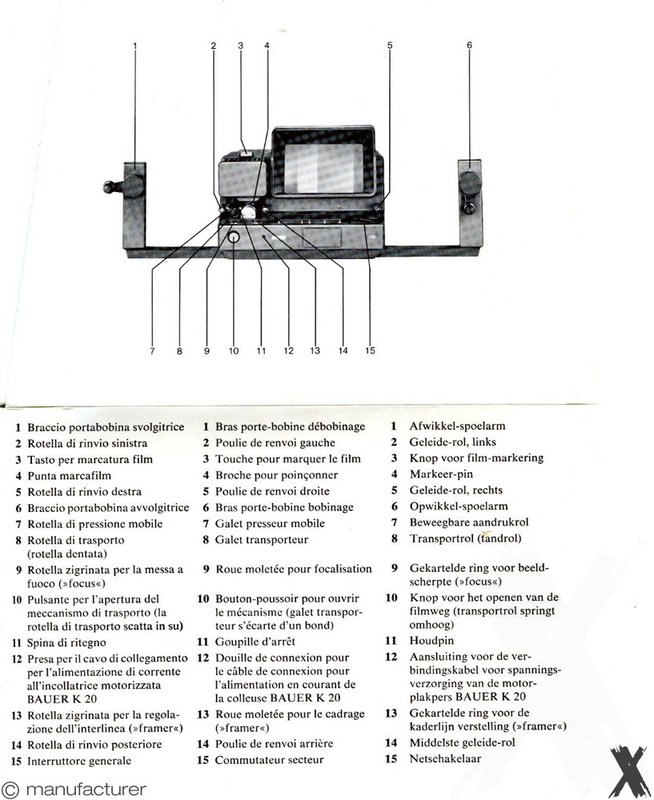 Power to show view your films brilliantly, power to thread your film manually at desired speed from reel to reel. Whichever way you view it - you'll view better with Bauer. 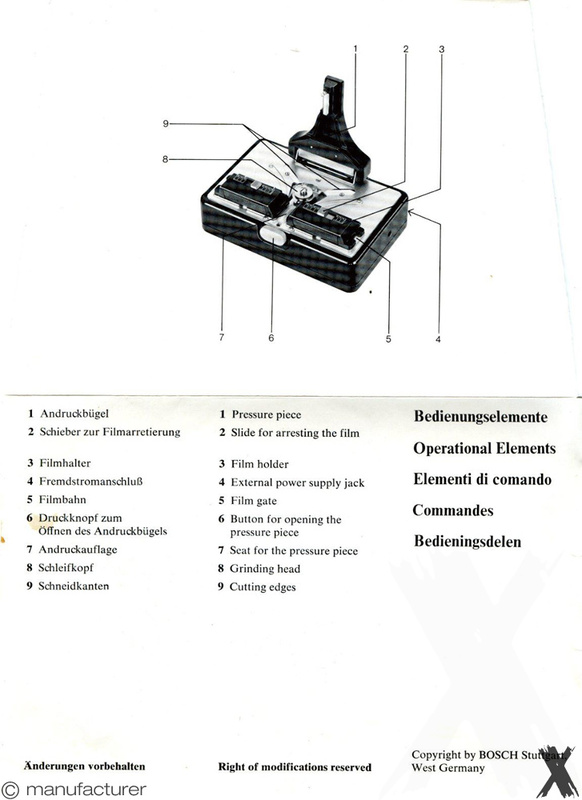 Bauer F20 movie editor, a first class technical aid for previewing and editing your super 8 mm films. 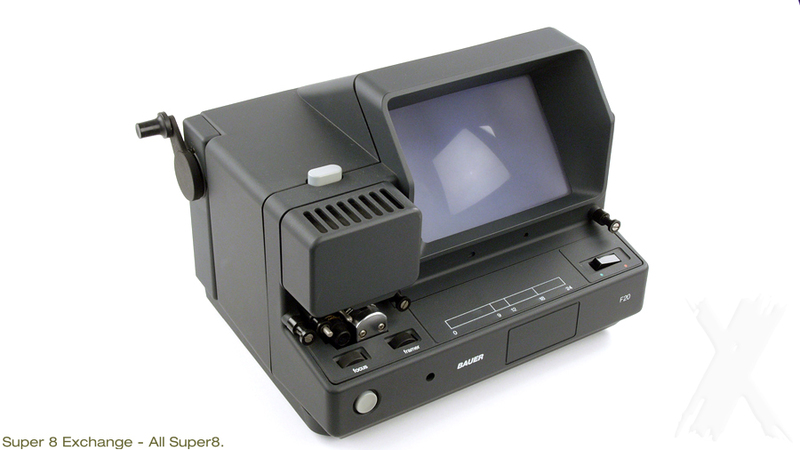 It features colour-correcting Fresnel ground glass, a brilliant halogen lamp, a practical operating light for film cementing, a special film gauge for determining the scene lenght, rapid rewinding outside the sprockets, a giant reel capacity of 240m and finally, a firm stand. Dual voltage, can be operated with either 110V or 220V. Screen size is 14cm x 9.5cm (width x height). Replacement bulbs are widely available. These are 6V 10W G4 type bulbs which can be purchased from here.